Councillor Paul Mongolas, left, and chairman Martin Terry Rondon, second from left, pose with participants before the start of the 'D Grande Classic: Back to Recreation Ground' marathon last week. 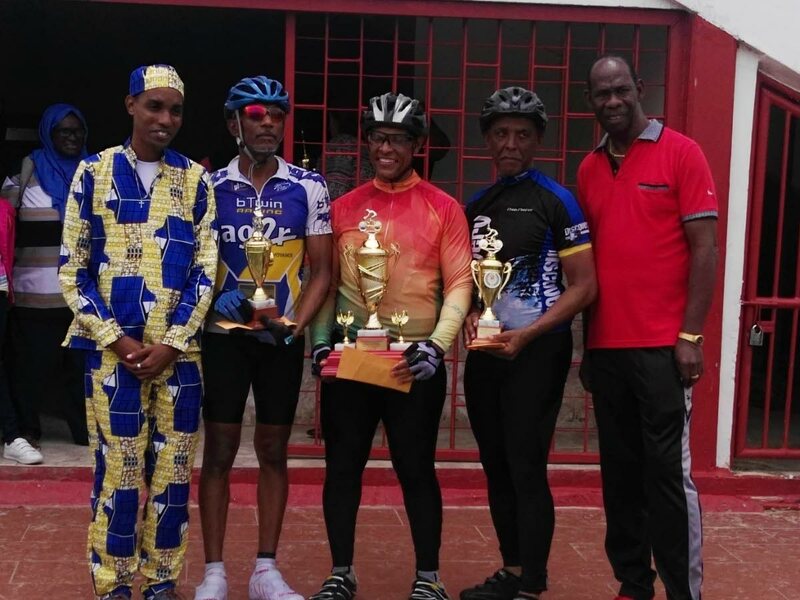 SANGRE GRANDE came alive on Emancipation Day as cycling returned to the town after many years with "D Grande Classic: Back to Recreation Ground”. 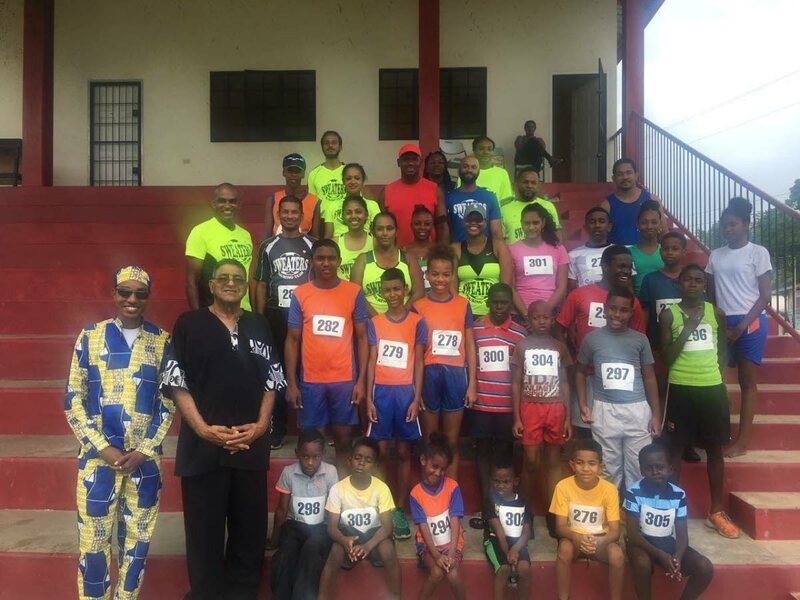 The event, hosted by Sangre Grande Regional Corporation chairman Martin Terry Rondon and councillor Paul Mongolas, comprised a marathon from Paharry Recreation Ground to Ojoe Road Recreation Ground and a cycling race from Valencia junction to Ojoe Road Recreation Ground. Scores of people lined the route in full support of participants which included a lone female cyclist and a 15 year old among a field of veterans. 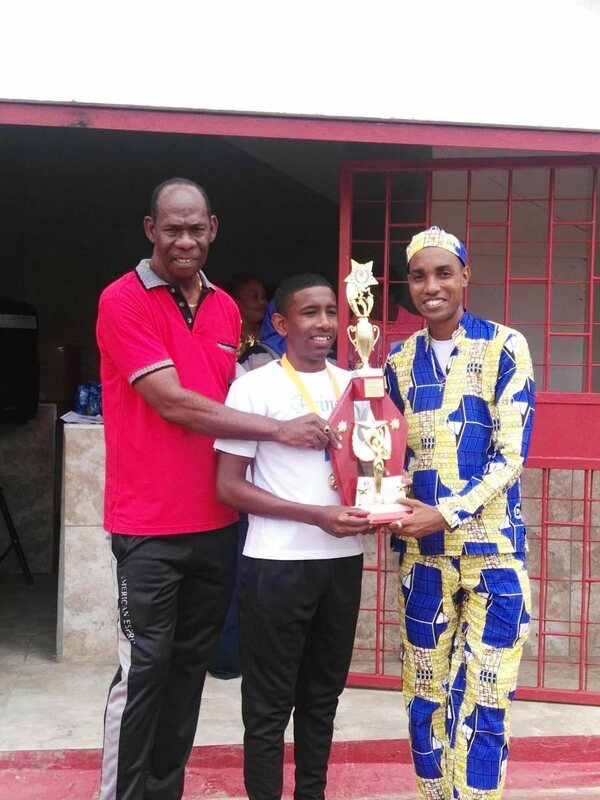 The marathon was won by Hezekiah Boodoo who was presented with a trophy and two vouchers to attend The Fitness Center Limited, Starlite Shopping Plaza, Diego Martin, for a month. Beating the field in the cycling race was Theophillus Ammon to clinch the first place trophy and $3,000. In second place was Kello Ramcharan who earned a trophy and $2,000. William Ammon came third and received a trophy and $1,500. One of the highlights as well was the honouring of chairman Rondon by Mongolas for his years of dedicated service to the Sangre Grande community. Reply to "Ammon, Boodoo top ‘D Grande Classic’"